Be sure to come and check out the 2019 Honda Accord Available near Marysville at Klein Honda. This car offers a refined cabin that comfortably accommodates five adults. You can also count on the 2019 Honda Accord to deliver inspiring economy figures. It is available in LX, Sport, EX, EX-L, and Touring trim levels. 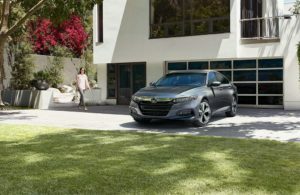 The 2019 Honda Accord Available near Marysville boasts advanced powertrains that use cutting edge technologies to deliver impress outputs while achieving fantastic economy. The LX, Sport, EX, and EX-L models of the Honda Accord all come equipped with a turbocharged 1.5 liter inline four-cylinder gasoline engine that generates 192-horsepower and 192 lb-ft of torque. This engine manages to propel this car from zero to 60 mph in 7.3 seconds while achieving an amazing economy, depending on equipment and driving conditions. This is made possible by technologies like direct injection and VTEC® (variable valve timing & lift electronic control). The range-topping Touring model comes equipped with a more powerful turbocharged 2.0 liter four-cylinder engine that develops 252-horsepower and 273 lb-ft of torque. When equipped with this engine, the 2019 Honda Accord improves its zero-to-60mph time to an impressive 5.7 seconds while achieving an equally commendable economy rating. In addition to being quite powerful, the 2019 Honda Accord Available near Marysville is also a joy to drive. It has a wide footprint and its lightweight yet rigid chassis is well-balanced. It also features an optimally tuned MacPherson strut front/ multilink rear suspension system that enhances its balance and control while delivering a super-cushioned ride. Thanks to the above, this car feels solid and composed on the road, with excellent handling and cornering ability. The engineers at Honda also did a great job of dealing with noise, vibrations, and harshness with the 2019 Accord. They set up the engine with good-quality engine mounts, they fine-tuned the suspension system, and they also extensively sound-proofed the walls of the cabin to keep engine noise and road noise out of the cabin. Therefore, you are going to love driving this car. If you want to see the 2019 Honda Accord up-close, come to Klein Honda at 10611 Evergreen Way, Everett, WA 98204. Our staffs can tell you anything you want to know about this car and they can also organize affordable financing for you. 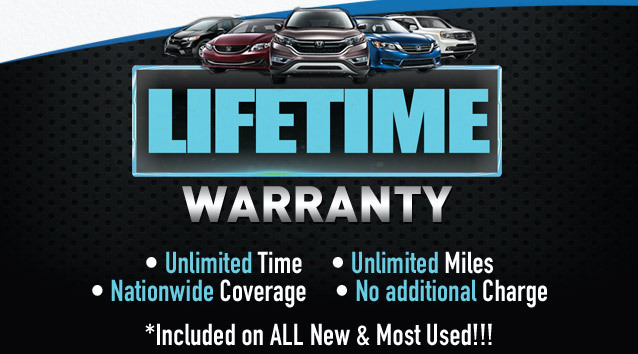 We at Klein Honda look forward to serving you.